SCIFIT offers innovative strength and cardio workouts and program options not found on other equipment. SCIFIT equipment is reliable & durable to stand up to the most demanding environments. Our top quality equipment and programs meet the needs of everyone from old to young and from beginner to elite athlete. SCIFIT offers programs that help attract and retain members. The programs take the guesswork out of getting started and staying on track. They can be customized to fit individual goals and deliver results. SCIFIT’s programs can also track progress and are extremely time efficient. SCIFIT makes a wide variety of products with a focus on upper body only, lower body only, and total body movements. 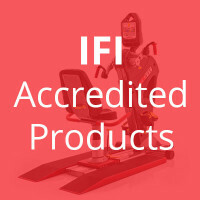 The following products are preferred products for YMCAs, JCCs and other specialty fitness health clubs. Enter your email address to download the Specialty Fitness market guide.